The non-governmental organizations (NGOs) require human resources to carry out their activities. This includes both the professionals who are paid and the volunteers. The capture of this resource acquires as much importance as the implementation of the social goals that these organizations promote. It can be said then that just as the commercial or cultural sectors are approached from the field of communication and design, it is valid to make an academic approach to this social problem. Fundraising was born as a strategy applied in NGOs with the purpose of generating resources for them to be able to sustain themselves through time. The emergence of new forms of communication and the technological advances in which non-governmental organizations (NGOs) are immersed, make them seeking to be adapted to a new digital generation; these non-profit organizations share practices that apparently for years seemed to generate efficient links with potential volunteers or donors finally. An NGO can produce a media strategy or communicate with clearly identifiable, predetermined and current results to become sustained for a longer time, and it can also promote other issues that they share with the target audience, such as good governance, strategies focused on solving socio-economic problems for economic growth and development by assuring public health and education, among others (Kumar, 2010). The creation of 4-helix helix schemes (University, NGOs, firms, and Government) contribute to achieving sustainable GDP (Gross Domestic Product) growth and socioeconomic wealth. There is a major communication challenge for NGOs about whether the company seeks to establish a more effective communication when there is a problem that directly affects a segment or interest group, for example, the environment or through vulnerable groups. But effectiveness in NGOs depends mainly on the dissemination of information and, crucially, its amplification by the media (Couttenier & Hate, 2015). 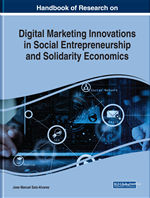 In this sense, the use of social networks has eased their real-time interaction with their stakeholders, which has mainly benefited the vulnerable groups helped. Under this concept, the term “fundraising” was born aiming to increase the capacity of an entity to carry out and extend its mission in society through fundraising (Torres & de las Heras, 2017). What establishes this new strategic communication model for non-profit organizations is the increase in the number of loyal donors as an important part of the benefactors of the firms dedicated to this activity. Due to this fact, fundraising needs a step-by-step evaluation to be a successful strategy within the market, as the fundraising plan must define how much money will be collected, in what period and what techniques will be used to achieve their goals. It must also include monitoring and detailed evaluation steps to modify the strategy, if necessary (Bonilla, 2013). However, the great disparity between first world countries and developing nations provokes that NGOs located in the most advanced economies on the planet have better (and cheaper) access to finance and donors. Donors located in a wealthy economic country does not seek any financial return after their contribution since what they seek is to help others, whether for philanthropic, ethical, moral or religious reasons. Among the techniques for requesting funds considered more effective by the non-profit organizations are: large donations (69.7%), direct mail (66.7%), scheduled donation (61.4%), special events (54.7%), foundations (44.8%), telephone (34.8%), corporate donations (29.2%), Internet (28.4%) and email (21.3%), according to a study by the University of Indiana cited by Center on Philanthropy (Bonilla, 2013). The Internet becomes an effective tool to link strategies focused on NGOs especially in the change of generation that is lived in the world. Generation Y or Millennials is upsetting the current society since through digital means it is possible to reach this new generation and with it a new form of fundraising through the so-called digital volunteers. Also, thanks to ICTs, the impact of fundraising campaigns has a global impact, which maximizes their effectiveness. The new proposals that are being generated as digital marketing strategies are opening a world of possibilities in the NGOs as they seek to segment the population and raise awareness with different social causes. Therefore, they will be people who are concerned about child malnutrition, especially in developing countries, among other factors affecting the population at risk of social exclusion. Digital marketing is enabling every injustice to have its individualized public to protect it. Social networks, moreover, can put a face to each cause when photographs and real stories are shown.